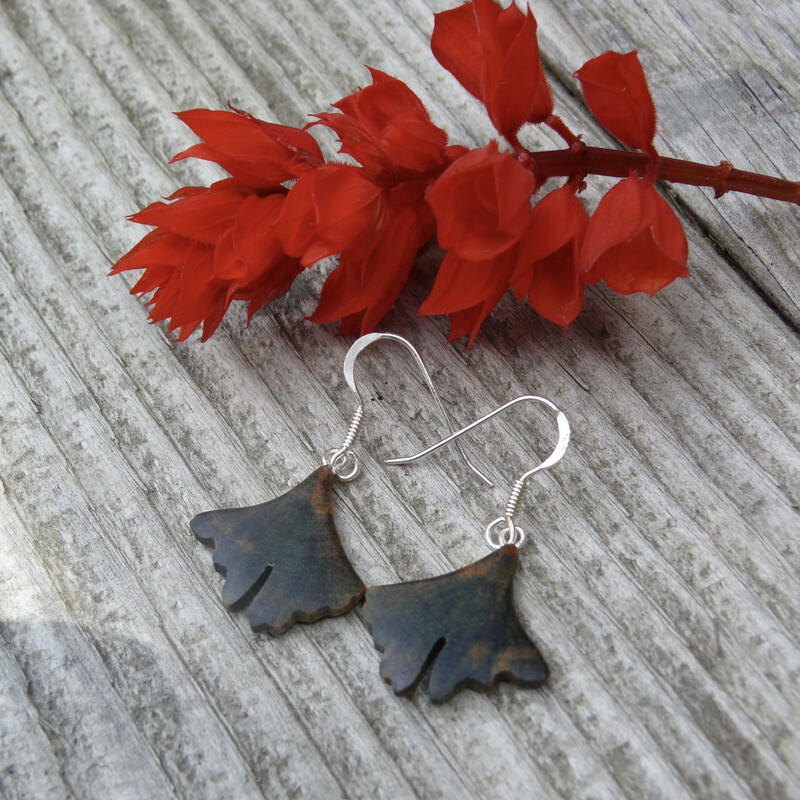 Ginkgo leaf earrings hand crafted with sustainably harvested wood. 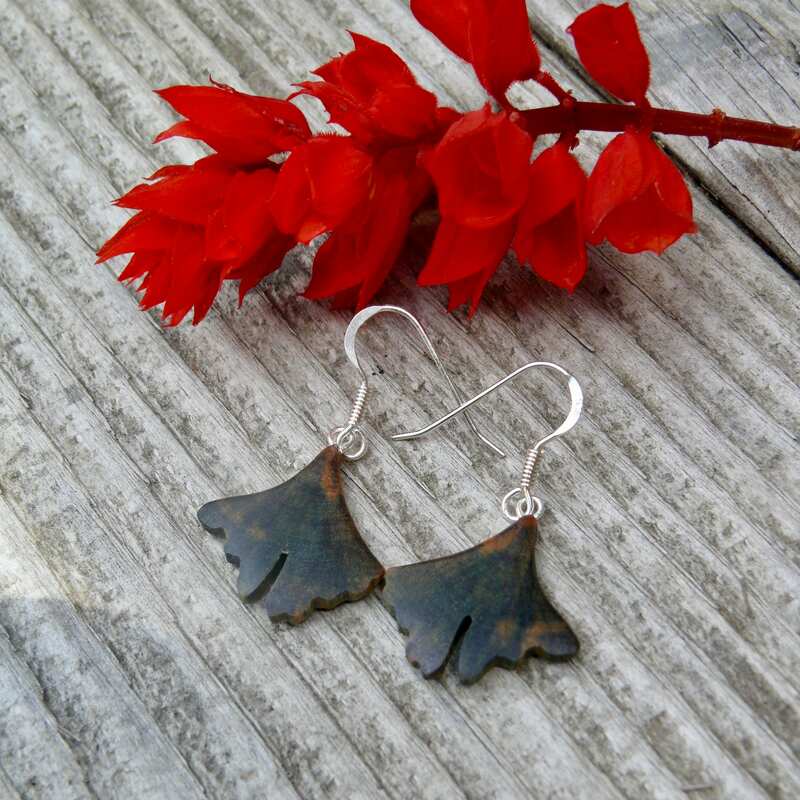 A must have to add to your nature lover's jewelry collection. 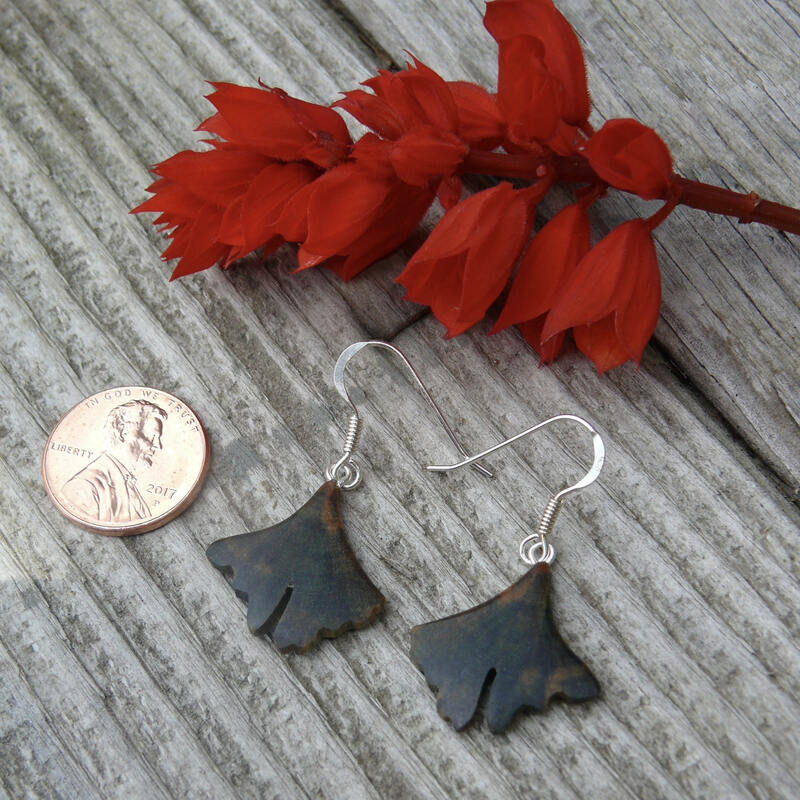 The pigment is made by Mother Nature herself.